Virtual reality or VR provides users with interactive computer-generated perceptual information and experience. To be more specific, it draws users into an artificially produced virtual or simulated environment by letting them experience computer-generated perceptual information. Depending on the type and method of the VR systems, the perceptual information and corresponding sensory experience can vary. Considered as both a type of VR system and a method for realizing virtual reality, a simulation-based virtual reality system involves a computer-generated simulation or approximate imitation of real-world environment or situations and phenomenon. Learning is one of the more popular applications of simulation-based VR. Driving simulator and flight simulator are notable examples in which drivers and pilots are drawn into a simulated environment that gives them an actual impression of driving or flying a plane. 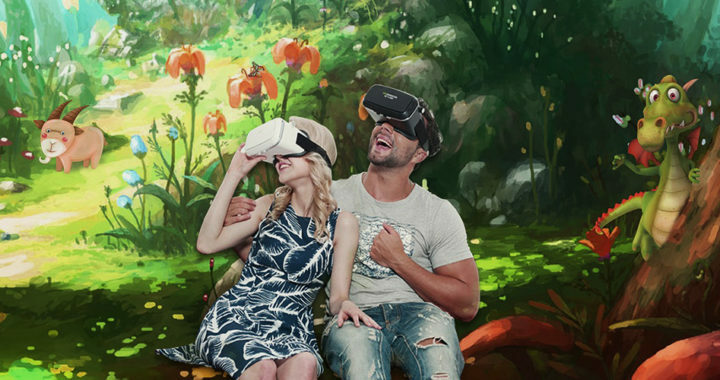 Another type of virtual reality systems is avatar image-based virtual reality. Note that in computing, an avatar is a graphical representation of a person. An avatar image-based VR allows a user to generate its own graphical representation while interacting with the avatars of other users. Visual feedback is the primary type of sensory feedback employed in this type of VR system. Applications center primarily on incorporation with other types and methods of virtual reality, such as in the case of placing avatars in a simulated virtual environment. A projector-based or projection-based virtual reality system involves a substantially immersive virtual experience that draws users into a simulated environment modeled after a real environment. Note that the simulated environment looks very realistic. There can be some overlaps between simulation-based VR system and projector-based VR system depending on the application. However, the main purpose of a projector-based VR system is to draw users into a realistic-looking albeit virtual environment. Both as a type of VR system and another method for realizing virtual reality, a desktop-based virtual reality system simply involves displaying a three-dimensional virtual world on a display device such as a desktop or handheld display. The differentiating feature of this VR system is that it focuses on providing computer-generated visual perception and it does not use other sensory input-input components such as a specialized positional tracking equipment. First-person video games are considered as an example. A specific method for realizing virtual reality involves the use of a head-mounted display or HMD to transport users a seemingly enclosed three-dimensional virtual world. An HMD can include positional tracking, audio inputs and output components, and haptic feedback. HMDs can also be used to implement specific types of virtual reality system. For example, a driving simulator or a projected simulated real-world environment can include the use of an HMD as its main input-output equipment. Some have maintained that augmented reality and mixed reality as specific forms or types of virtual reality because of the simplest reason that both involve providing users with an interactive computer-generated perceptual information and experience. Of course, there are those who argue for maintaining the difference to avoid lexical confusion. Nonetheless, augmented reality augments or supplements the real world with computer-generated perceptual information while mixed reality centers on merging real world and virtual world to produce new environments. The cyberspace may also be considered as a type of virtual reality because it is a computer-generated environment with alternative reality where digital communications over computer networks occur.